Have you ever seen a pink plate heat exchanger? The team at Heat Exchangers WA and BHP Nickel West Kwinana Refinery have painted this plate heat exchanger pink in support of the National Breast Cancer Foundation. Additionally, HEWA and BHP NKW have provided a $6502.00 donation, contributing toward the incredible life-changing research into the prevention and cure of breast cancer. Do you want a pink plate heat exchanger? Get behind a great cause during your next service! 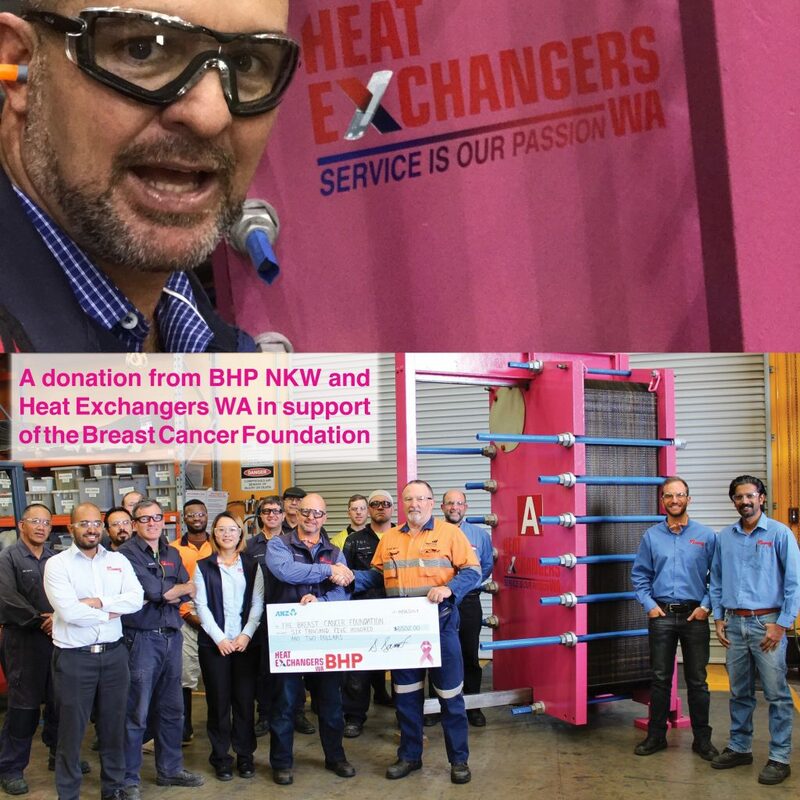 Heat Exchangers WA want to see more pink heat exchangers out in the field, showing support for breast cancer. Therefore, HEWA are offering a promotion whereby for every heat exchanger that is painted pink, 2.5% of the service value will be donated to the National Breast Cancer Foundation on your behalf. Contact Heat Exchangers WA for further information on how you can support the National Breast Cancer Foundation.